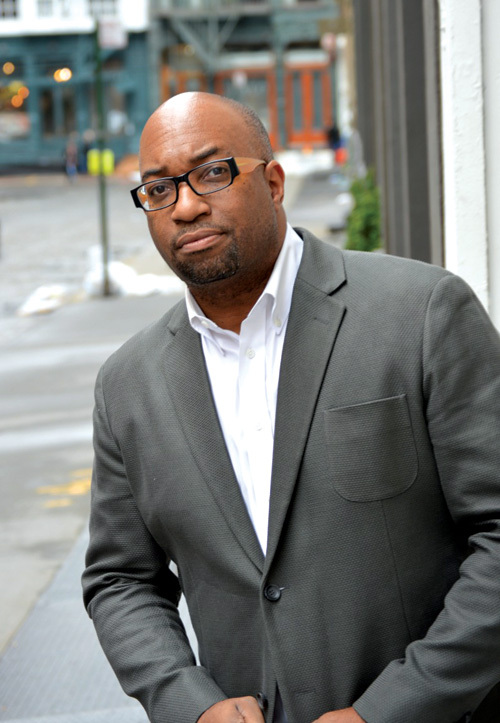 Kwame Alexander, author, poet, and winner of the 2015 Newbery Medal for The Crossover, will now have a hand in children's publishing beyond his own work. Alexander will curate Versify, a new imprint in the Houghton Mifflin Harcourt's Books for Young Readers group, which aims to give children and young adults prose and poetry in stories representative of all. NEW YORK, Jan. 30, 2018 /PRNewswire/ -- Houghton Mifflin Harcourt Trade Publishing today announced a new imprint in their Books for Young Readers group curated by Newbery Medalist and educator Kwame Alexander. Versify will publish innovative creators with fresh stories. The imprint reflects Alexander's vision that accessible and powerful prose and poetry—in picture books, novels, and nonfiction—can celebrate the lives and reflect the possibilities of all children. Seeking new authors and artists as well as established writers and illustrators, Versify will publish books that explore the beauty, hurdles, and hopefulness of life. . .books that will engage, entertain, and empower young people to imagine and create a better world. "I get asked what will make Versify different from other imprints," says Kwame Alexander. "The truth is we are not reinventing publishing. It's the same ingredients in our kitchen as everyone else's: we want to publish books for children that are smart and fun, that inform and inspire, that help children imagine a better world. My goal is just to make sure there are more chefs in the kitchen, more voices in the room, that create unique and intelligent entertainment that electrifies and edifies young people. So yes, I too am looking for the next Mo Willems and Jacqueline Woodson. It's just that I plan to look far and wide in places unseen to most. As Langston Hughes said, 'Life is a big sea full of many fish. I let down my nets and pull.'" Working alongside Alexander will be his editor, longtime HMH Sr. Executive Editor Margaret Raymo, Editorial Project Manager Erika Turner, and an advisory council of students from across the country. Versify will launch in spring 2019. The inaugural list will include This Is For Us, a picture book that pays tribute to the sacrifices and triumphs of African Americans, written by Kwame Alexander and illustrated by acclaimed artist Kadir Nelson; The Last Last-Day-of-Summer, a middle grade modern day Phantom Tollbooth, written by founding member of We Need Diverse Books, Lamar Giles; ¡Vamos! /Let's Go! the first in a new bilingual picture book series by Pura Belpré award-winning illustrator Raúl the Third; and White Rose, a young adult novel in verse that tells the true story of Nazi resistance leader Sophie Scholl, by YARN Poetry Editor Kip Wilson.